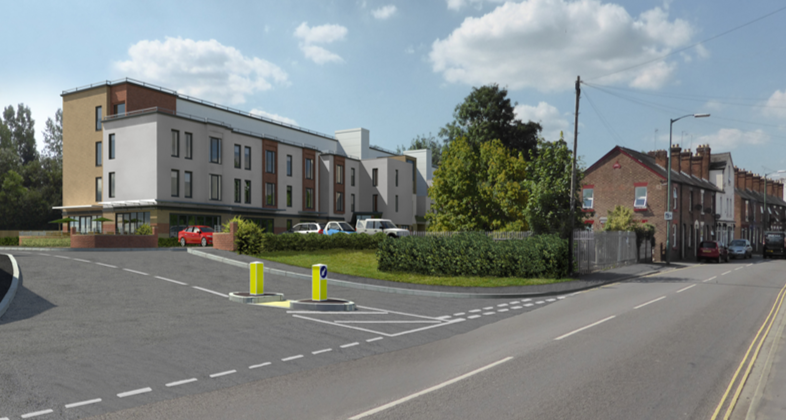 This new build development consists of a 69 unit Extra Care Facility in Shrewsbury. Along with modern living quarters the facility will accommodate for communal facilities and a picturesque residents’ garden. Due to be completed in spring 2017, the development will add to the much needed provision of assisted living facilities within Shropshire County. Fellows worked closely with the design team to ensure that a balance was kept between an aesthetically pleasing, usable building, and affordable costs. This process involved a full review of materials, architectural details and even a review of layouts in an effort to maximise value. Within the initial proposals for the Ellesmere Road Extra Care facility, the use of communal space had been deemed wasteful and inefficient. Fellows reviewed the Client’s requirements and proposed alterations which would maximise a return on rentable space, whilst meeting the Client’s needs in terms of communal facilities. The process was successful enough to yield an additional apartment, and not only increased the potential revenue stream for the Client, but ensured the scheme could proceed and was financially viable.